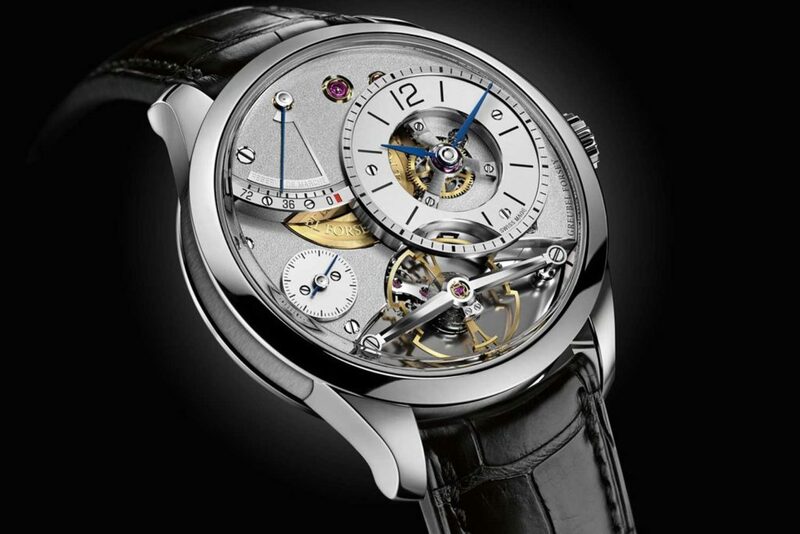 Check out our First Look video of Greubel Forsey novelties here. 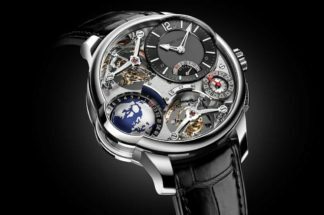 Greubel Forsey presented a couple of heavy hitters at SIHH: the Art Piece Edition Historique which features a new movement with minutes on demand; and the smallest watch it has attempted yet, the 39mm Balancier Contemporain. 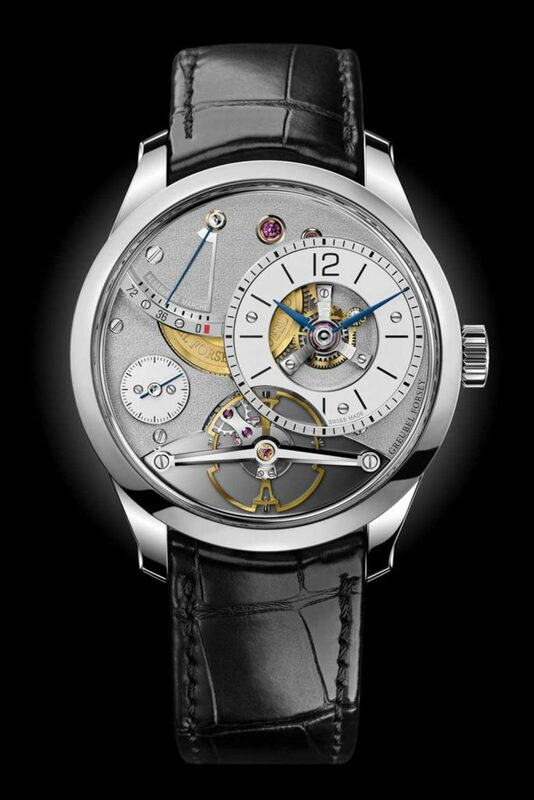 At the heart of the Balancier Contemporain lies the in-house balance wheel system that Greubel Forsey unveiled in 2017, its defining feature being the large balance wheel optimal timekeeping stability, measuring 12.6mm in diameter, with fine adjustment via six recessed gold screws to reduce aerodynamic drag. 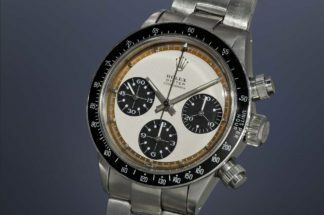 This system debuted in the limited edition Balancier which featured an asymmetrical white gold case measuring 43.5 mm in diameter and 13.94mm in height. 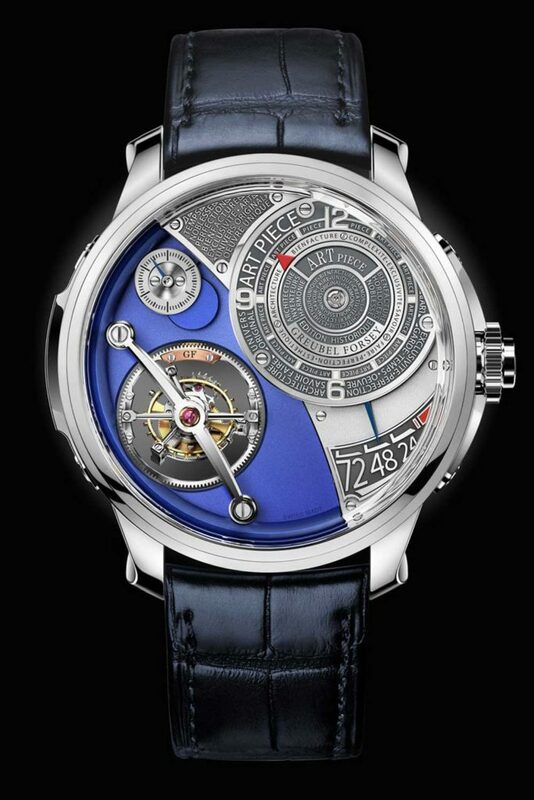 With the Balancier Contemporain, Greubel Forsey has fit the balance wheel system and its signature multi-layered, architectural aesthetic into a very svelte 39.6mm x 12.21mm case. The manual-wind movement achieves 72 hours of power reserve from two series-coupled barrels and its crown-activated ‘stop balance’ system enables precise time-setting to the nearest second. 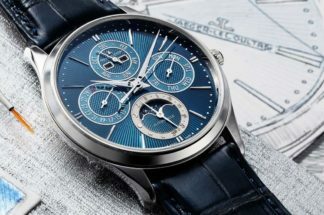 In its multi-level construction, the offset hours/minutes display appears at 2 o’clock with its blued steel hands featuring hand-polished countersinks and flat-polished centres, while apertures cut into the dial offer views of the balance wheel, gear train and three-dimensional tripod bridge. At 10 o’clock, on a slightly lower level, a finely hand-frosted bridge houses the power-reserve display, with the small seconds below this supported by a frosted and bevelled bridge that provides a glimpse of the gilded barrel drum with Greubel Forsey engraving. Taking centre stage at 6 o’clock is the exclusive balance wheel, framed against a bridge meticulously hand-polished to achieve its mirror finish. The balance wheel pivots at the top around a slim, beveled and flat black-polished bridge. 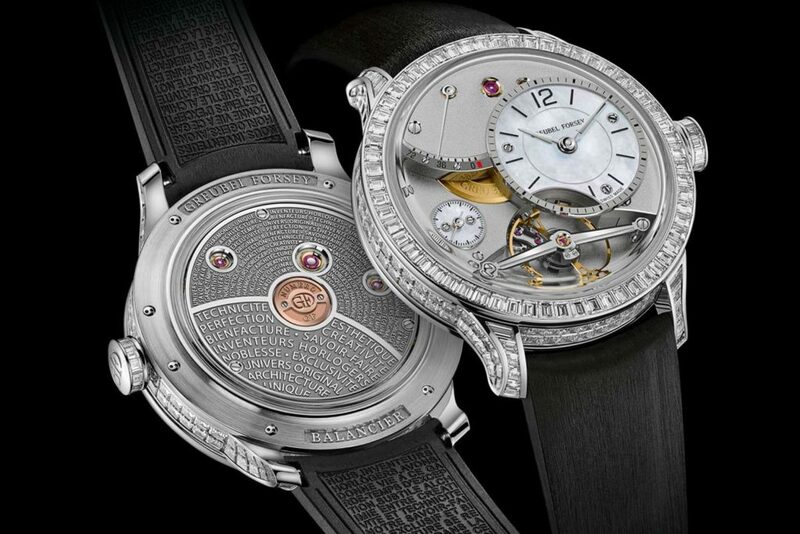 The caseback side of the Balancier Contemporain is protected beneath a high-domed sapphire crystal, with the centre occupied by an engraved circular red gold plate bearing the GF logo and the individual limited-edition number. 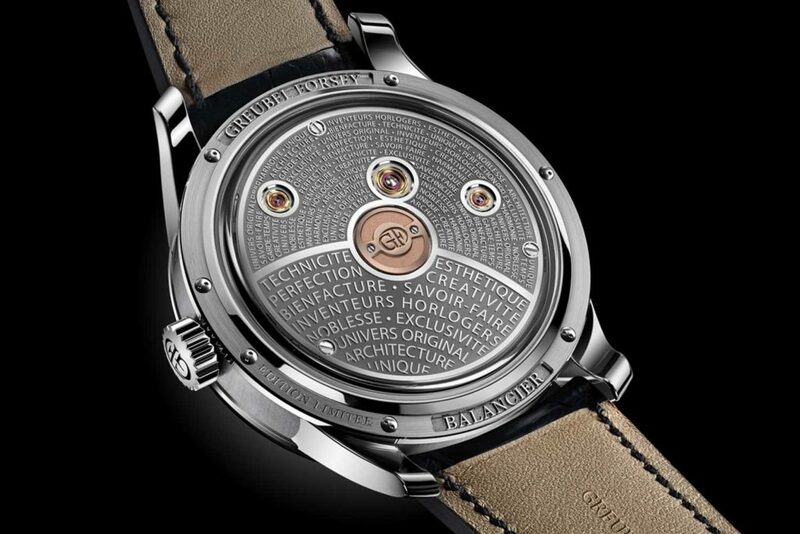 Held by gold security screws, the caseback is signed with raised polished engraving – “Greubel Forsey” and “Balancier” – on a hand-punched background. To complement the Balancier Contemporain, Greubel Forsey has also released its diamond-set version, the Diamond Set Balancier Contemporain featuring dials in mother-of-pearl, in 41.6mm case. 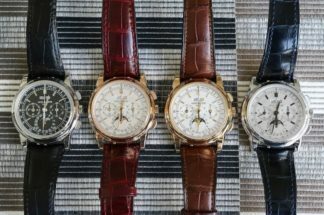 It’s a curious thing that Greubel Forsey splits its collections between Invention Pieces and Art Pieces, seeing how a hard dichotomy along such lines does not exist in its watches: they are each very much a hybrid statement of twin principles that can be seen to drive the brand, a meld of technical artistry and a mature design language unique to the brand. 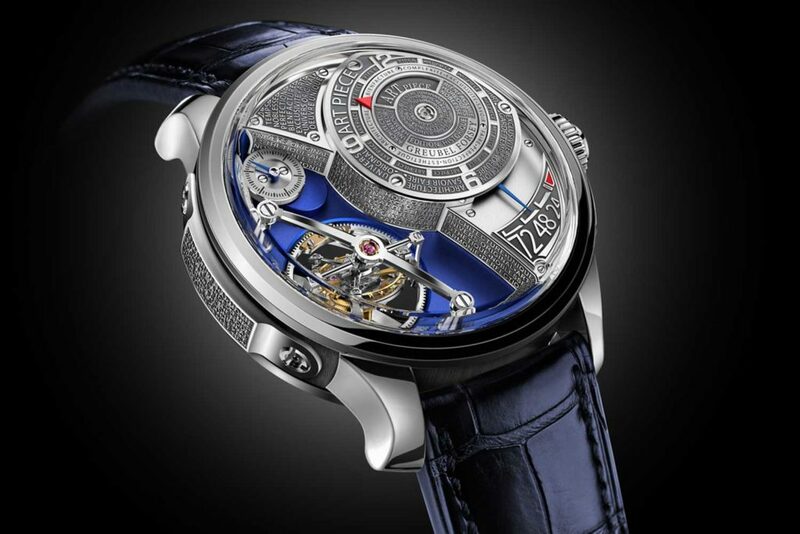 This year’s Art Piece Historique Edition builds upon from Grebel Forsey’s Art Pieces which debuted in 2013 with Art Piece 1. 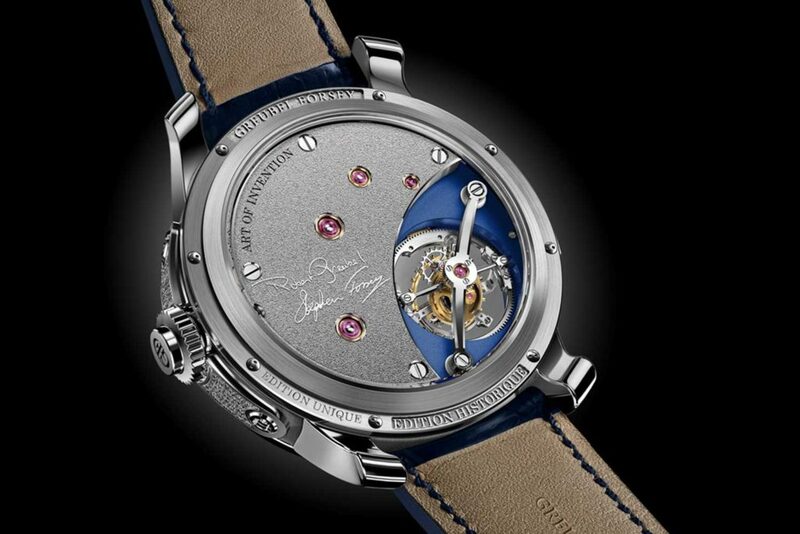 In a limited edition of 33 pieces with the first 11 pieces cased in platinum and the remainder in as yet unspecified materials, the Historique Edition will be numbered from ‘19’ as an expression of continuity from the earlier Art Pieces that have been released. The Edition Historique’s 44mm case houses a new movement that is anchored on the brand’s staple, the Double Tourbillon 30°, with the inner tourbillon inclined at 30° completing one revolution every minute, and an outer tourbillon completing one revolution every four minutes. 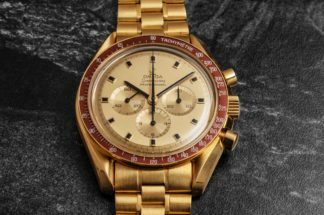 Time is displayed in the brand’s multi-level array; the scrolling minutes can be hidden or revealed by a shutter activated by a pusher integrated into the crown.